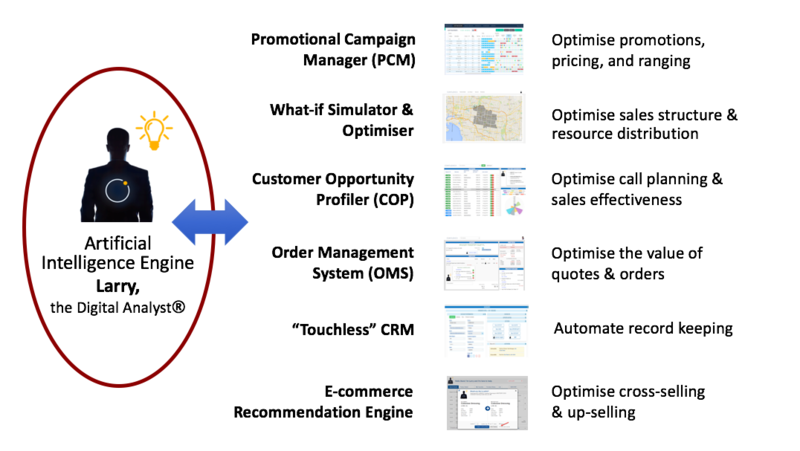 Complexica is a leading provider of Artificial Intelligence software applications that can optimise sales, marketing, & supply chain decisions, particularly for manufacturers, distributors, and retailers characterised by a large SKU range and long tail of customers. We were founded upon the research of several world-renown computer scientists, and have commercialised an award-winning Artificial Intelligence platform called Larry, the Digital Analyst® that powers our enterprise software applications: We maintain research partnerships with the Polish-Japanese Academy of Information Technology, the University of Adelaide, and RMIT University, and also have a Scientific Advisory Board that includes international thought leaders in the area of Artificial Intelligence. Our software applications employ techniques from a range of fields, including deep learning, predictive analytics, machine learning, Artificial Intelligence, simulation and big data analytics to solve complex business problems and deliver value.